Vanguard Academy Open House: One of our Cure CF kids, Samuel, attends Vanguard Academy, a full-service preschool in Norton Commons. 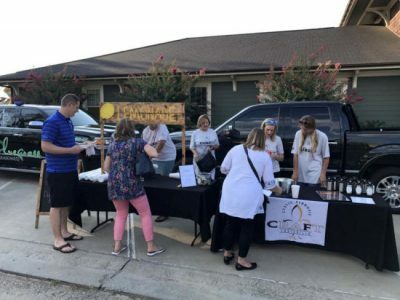 The directors of the school offered Cure CF the opportunity to host a table at their open house, which serves around 700 local families. We set up our lemonade stand used at CRAFT, and had so much fun with the Vanguard families!